INBOX: MILITARY ESAS — This week marks Republicans’ last real shot to build on their small victory in the tax plan and enact a new federal private school choice program this year. Rep. Jim Banks, Republican of Indiana, has introduced a bill that would provide education savings accounts to the children of some military members. The funds, either $4,500 or $2,500 a year, depending on where a family lives, could be used for private school tuition, tutoring, or other expenses. Advocates with Heritage Action, a far-right think tank that has held sway with the Trump administration, have urged Republicans to attach the measure to this year’s defense authorization bill. It’s one of the last must-pass bills to come before Congress this year and, after negotiations with the Senate, usually attracts bipartisan support. Banks’s proposal didn’t come up when the House Armed Services Committee considered the bill earlier this month, so it now goes before the Rules Committee Tuesday afternoon. That committee, which sets parameters for floor debate, will decide whether or not to allow a vote by the full House on the proposal, offered as an amendment to the defense bill. If the Rules Committee does allow the proposal to come before the full House, it’s sure to face sharp opposition on the floor: Banks proposes paying for the education savings accounts by tapping Impact Aid, the $1.4 billion federal grant program geared toward the education of “federally connected” children. The program has long had bipartisan support, and school leaders have said diverting Impact Aid funds could have dire consequences for public schools that educate large numbers of those children. The Trump administration, which generally backs the idea, doesn’t support paying for it with Impact Aid, Education Week reported. Time is running out for Republicans to pass any new private school choice measures ahead of the midterm elections. In terms of their agenda, they can point to increases in federal charter school funding and the expansion of 529 tax-advantaged savings accounts to private K-12 tuition, but the victories end there. Efforts to include homeschool expenses in the 529 expansion were scuttled, and Congress has so far rejected every one of Education Secretary Betsy DeVos’s choice proposals. Besides the defense authorization measure, the only other must-pass bill members will consider before November is a funding measure. Government funding expires September 30, but Democrats are likely to push for a continuation of current-level funding until after the elections when, given current predictions, they would have increased leverage after picking up seats and possibly retaking the House. 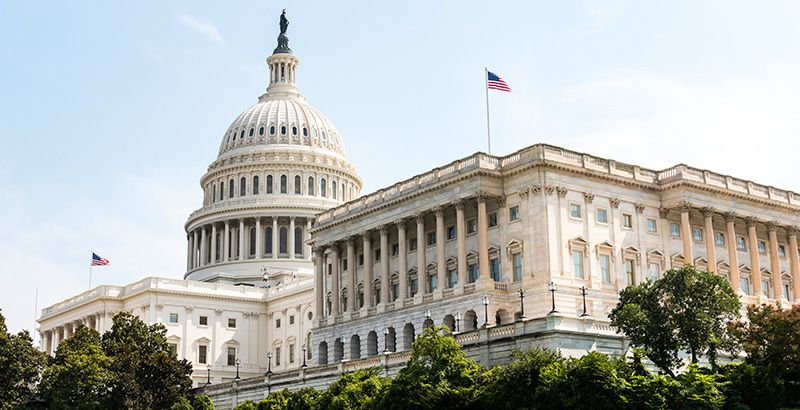 ICYMI: NOMINEES — The Senate last week approved the nomination of Mitchell Zais as deputy secretary of education by a party-line vote of 50–48. Trump also nominated Scott Stump to be assistant secretary of career, technical and adult education. The Education Department in particular has been plagued with delays in nominations. With the confirmation of Zais and nomination of Stump, seven of the 15 top positions have been confirmed, while five are awaiting Senate approval. The president has not offered nominees for undersecretary, assistant secretary for postsecondary education, or assistant secretary for communications and outreach. MONDAY: HIGHER ED PERCEPTIONS — The New America Foundation, a liberal think tank, holds an event to share the results of its second annual survey on perceptions of higher education, including the value of higher ed and issues of affordability. TUESDAY: DEVOS — DeVos testifies before the House Education and the Workforce Committee on the “policies and priorities” of her department. She has appeared before Appropriations committees in both the House and the Senate but has not yet testified before either chamber’s education committee since her confirmation. TUESDAY: SCHOOL STANDARDS — The journal EducationNext, with the Hoover Institution and the Harvard Graduate School of Education, releases new research and holds a panel discussion on the rigor of state proficiency standards, particularly in the wake of the Every Student Succeeds Act. TUESDAY: FREE SPEECH — Two subcommittees of the House Oversight and Government Reform hold a joint hearing on the “challenges of freedom of speech on campus.” A similar hearing last summer focused on how college administrators can appropriately respond to potential violence and hate crimes without overcorrecting and banning constitutionally protected speech. WEDNESDAY: CHARTER SCHOOL DESERTS —The Thomas B. Fordham Institute holds an event on charter school deserts in the greater D.C. metro area. Although there is a vibrant charter school sector in Washington, D.C., there are more low-income students and far fewer charter schools in neighboring counties in Maryland.